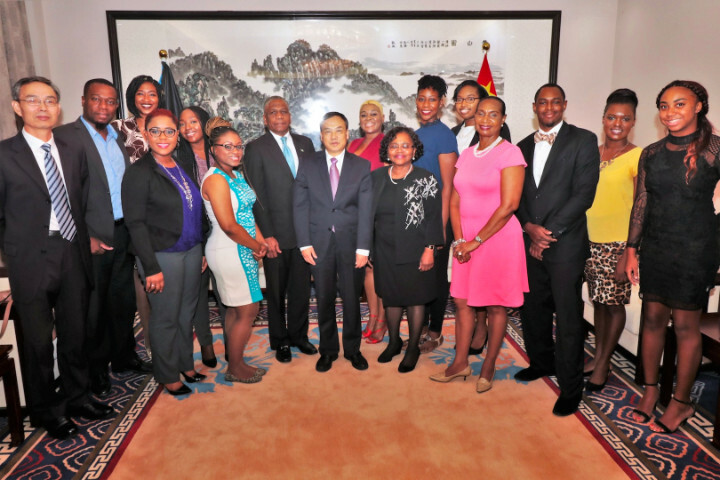 NASSAU, The Bahamas – Permanent Secretary at the Ministry of Foreign Affairs Jack Thompson said, on August 22, 2018, that the 11 Bahamian students receiving scholarships from the Government of the People’s Republic of China for study in that country will pursue various programmes of study, from the Bachelors to the Doctoral levels. Among those present for the ceremony included Ambassador of the People’s Republic of China His Excellency Huang Qinguo and other Embassy Officials; Ministry of Foreign Affairs (MFA) Director General Sharon Brennen-Haylock; First Assistant Secretary and Head of the Honorary Consul Unit and Technical Assistance Division Meryl Deveaux, and other MFA staff; Deputy Permanent Secretary Bridgette Hepburn and Assistant Secretary Sophia Ingraham of the Ministry of Public Service; Acting Under Secretary, Human Resources and Examination & Assessment Division of the Ministry of Education Serethea Clarke; and parents and guardians. After bringing greetings and best wishes on behalf of Minister the Hon. Darren Henfield, who was off island at that time, Mr. Thompson noted that The Bahamas and China have enjoyed Diplomatic Relations since May 1997. Since then, he added, the Government of China has graciously awarded Scholarships to a multitude of Bahamian students. 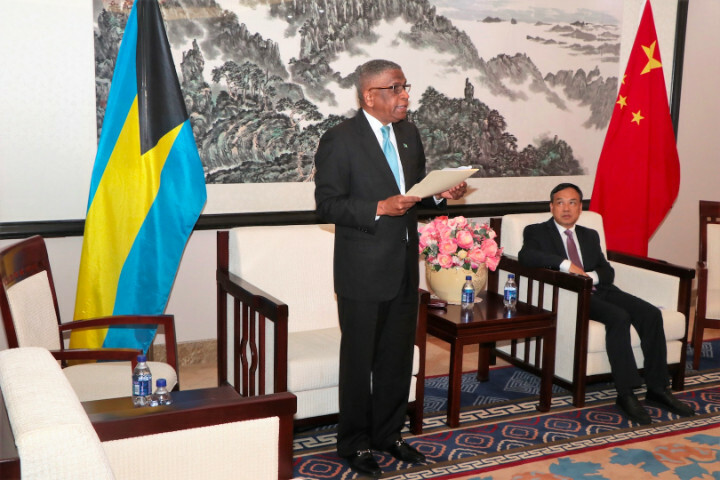 “The awarding of these scholarships, yet again, demonstrates that the bond between The Commonwealth of The Bahamas and the People’s Republic of China continues to be strengthened and fortified,” Mr. Thompson said. “In the process, they will also obtain a keen appreciation understanding of the culture, language and people of China,” Mr. Thompson said. To the awardees, Mr. Thompson said that he was “truly delighted” that they had been afforded “this grand opportunity”. “It is an opportunity not only to receive a tertiary education, but to be Ambassadors for The Bahamas while you are in China,” he said. “I encourage you to use that opportunity to share with the people of China the richness of our heritage, traditions and culture. “Upon completion of your studies, you will not doubt play pivotal roles in the continuous development of beloved Bahamaland,” Mr. Thompson said. 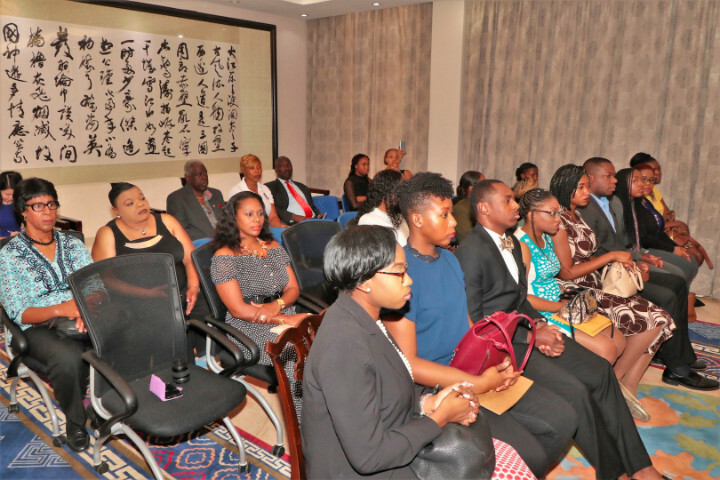 He assured the awardees that the Ambassador and staff of The Bahamas Embassy in Beijing stand ready and willing to receive and assist them as they join their fellow Bahamians, who were currently studying in China.